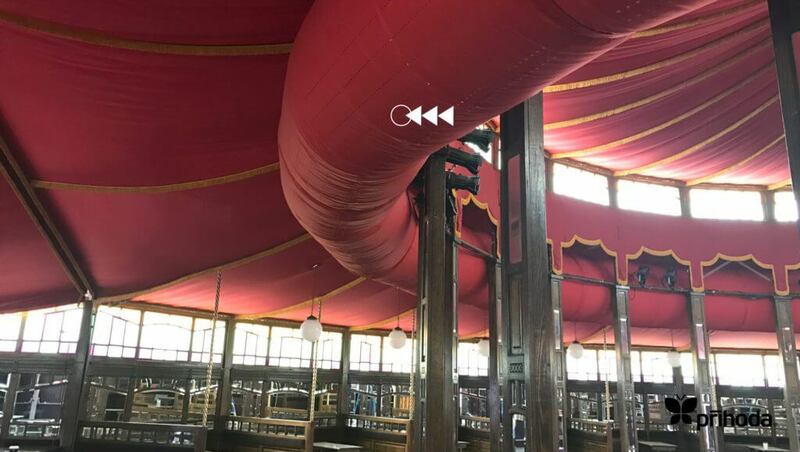 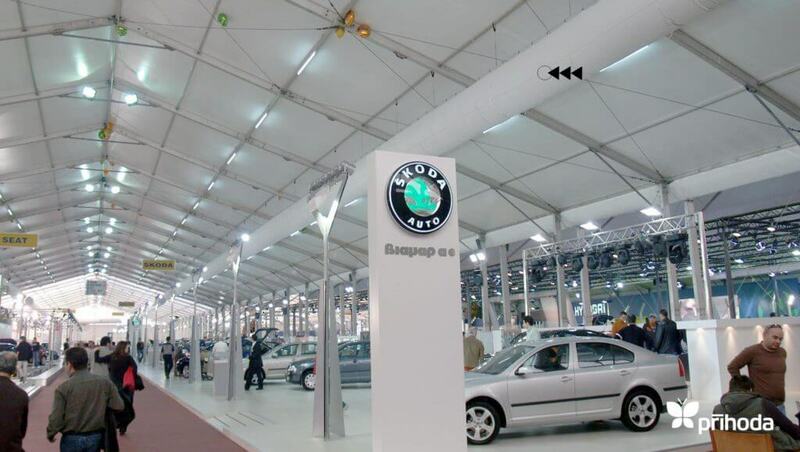 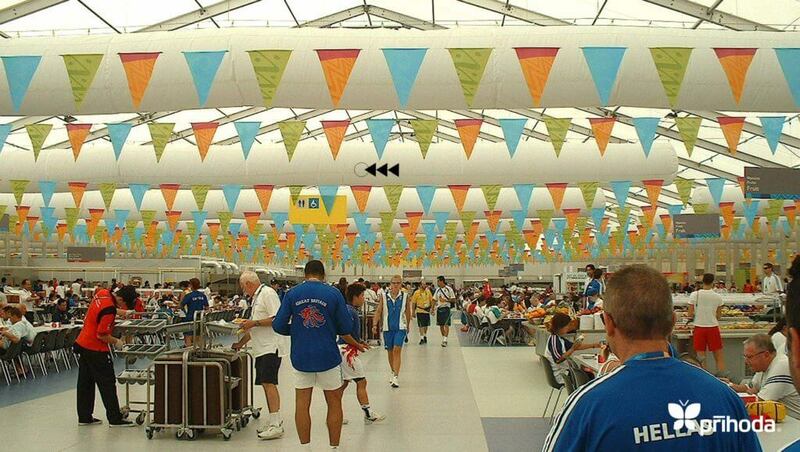 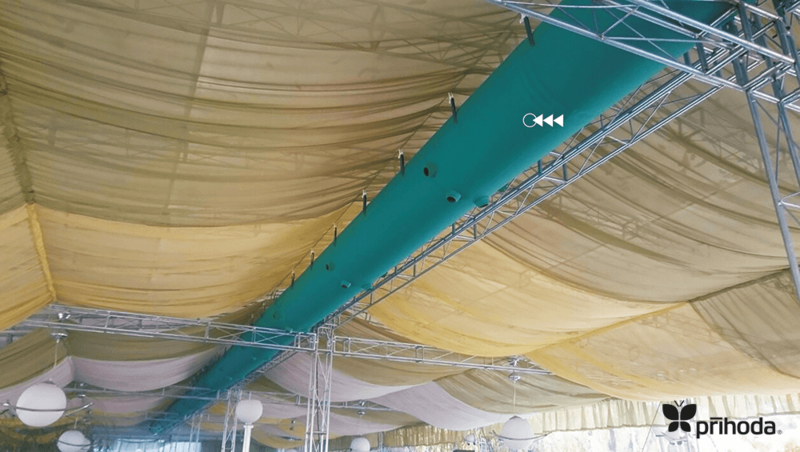 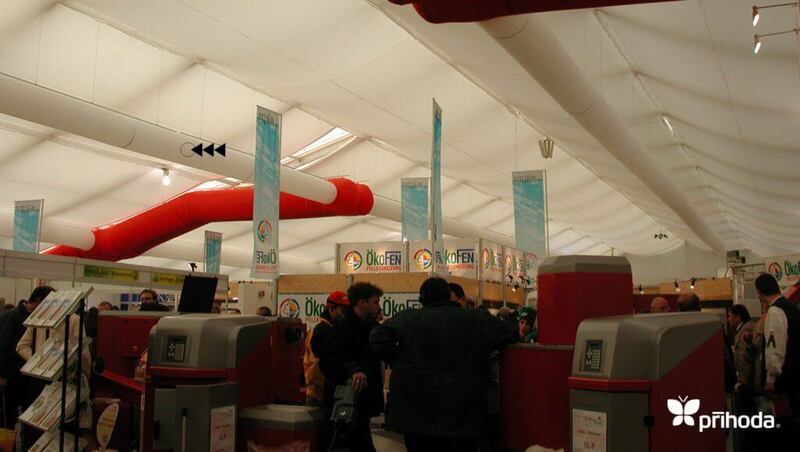 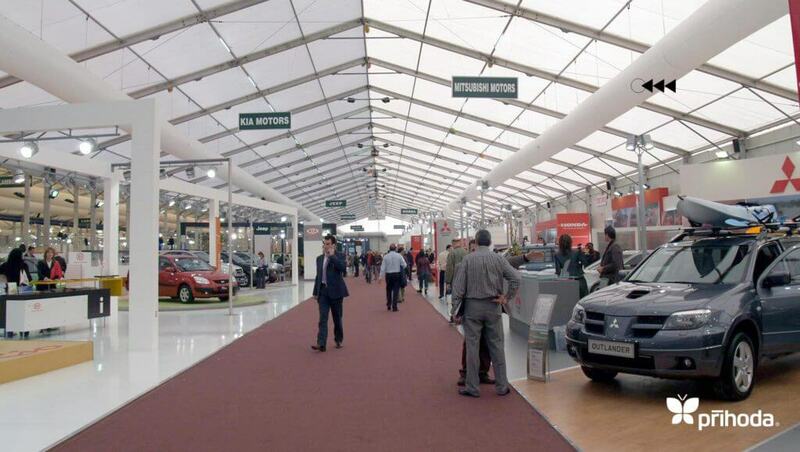 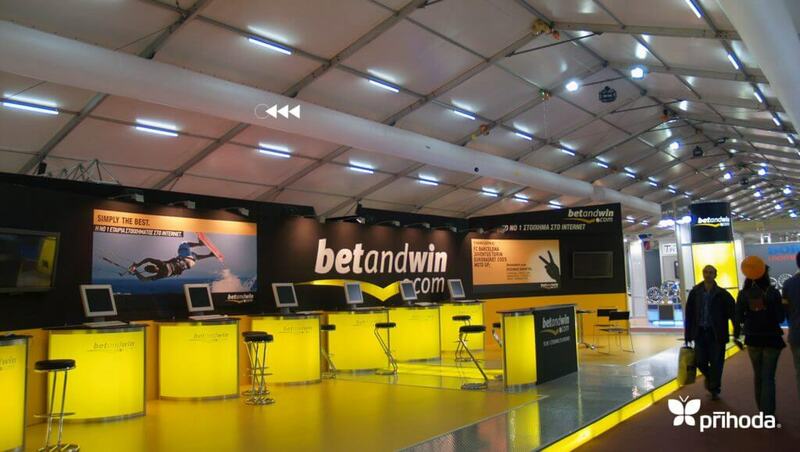 The benefits of using Prihoda Fabric Ducting and distribution systems for cooling or heating of large scale tents or other temporary structures are self evident. 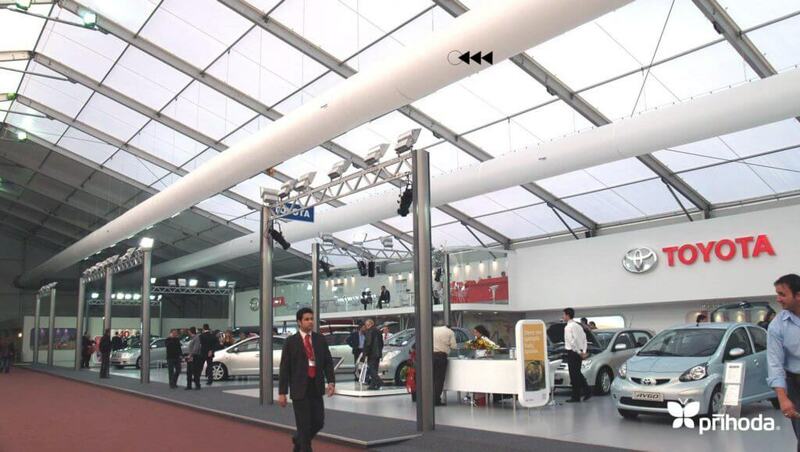 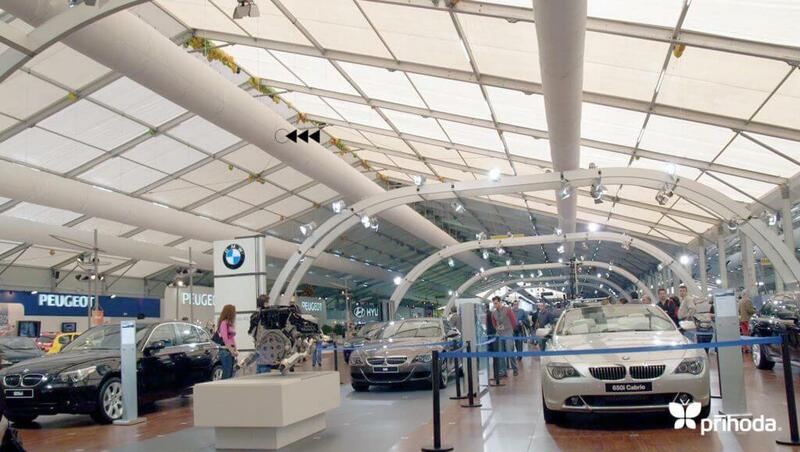 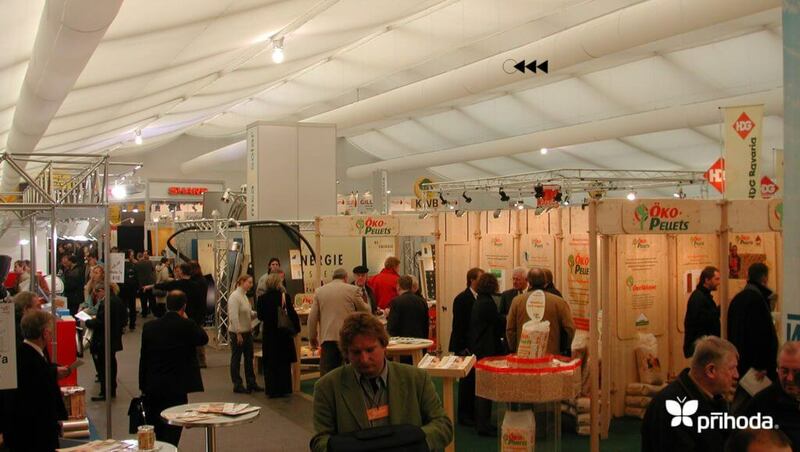 Light weight roof structures can easily support fabric ducting and diffusers weighing from 100 to 400 g/m². 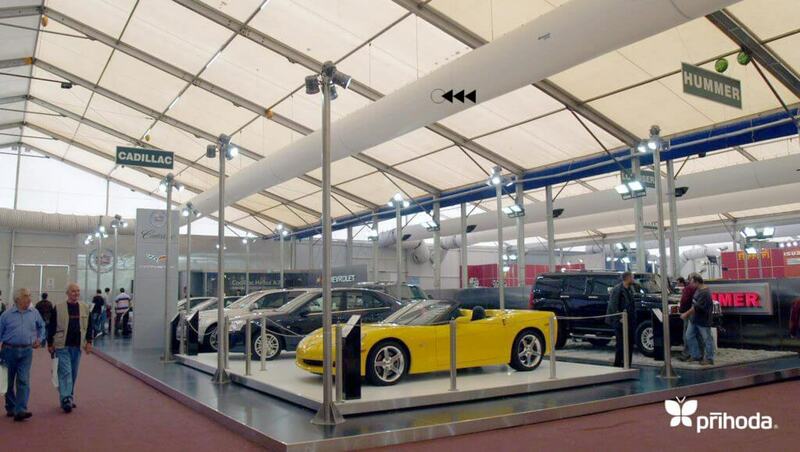 Installation is very quick, using the supporting wires and hooks provided as part of the system. 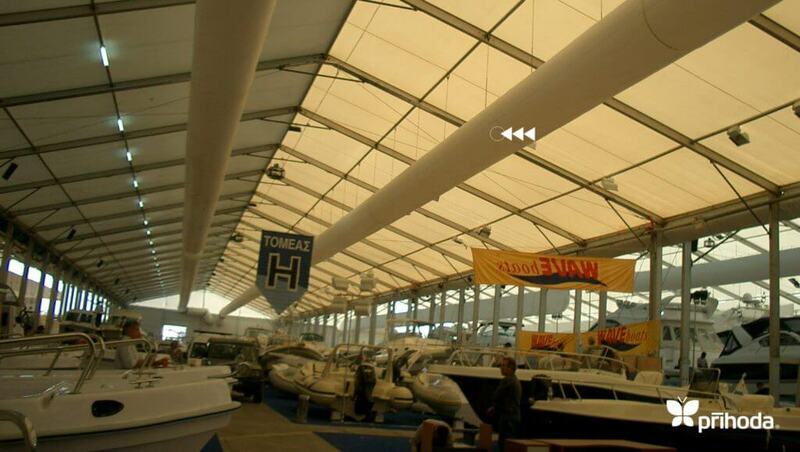 Top quality materials allow multiple repeated use. 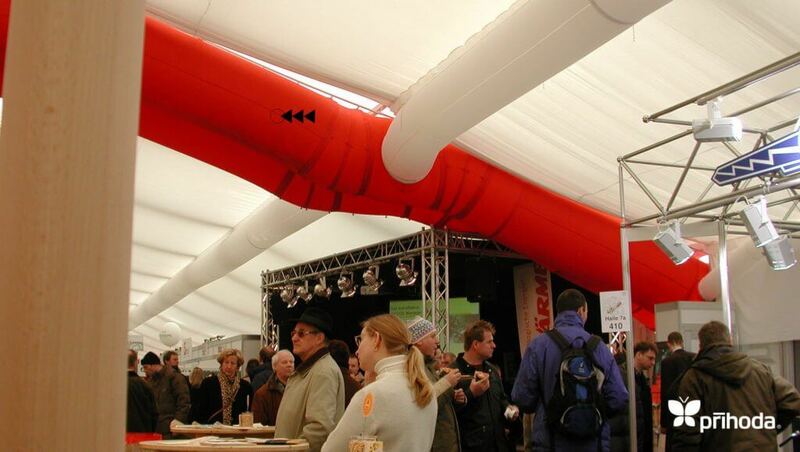 Cooling or heating using a large AHU and Fabric Ducting diffusing all along the structure,is much more economical than simply blowing the air into a space. 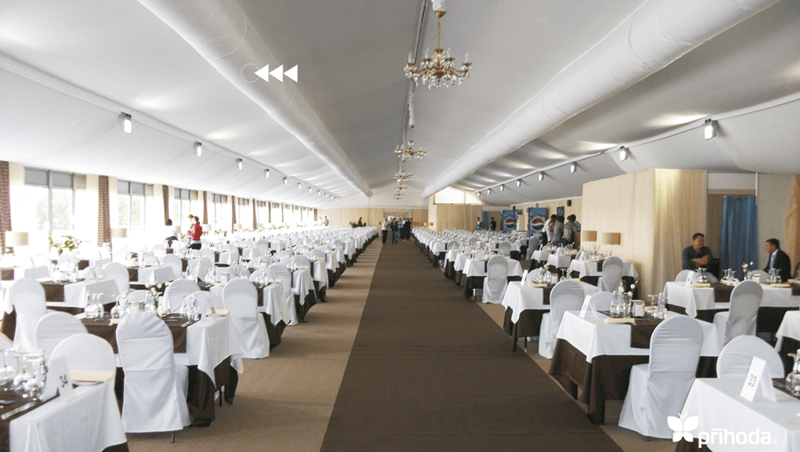 Specifically with heating the warm air rises quickly creating a high temperature zone high in the ceiling and enourmous heat loss. 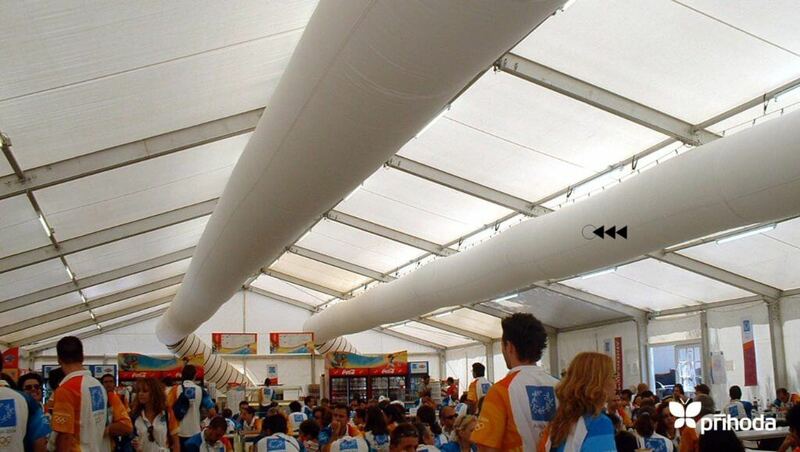 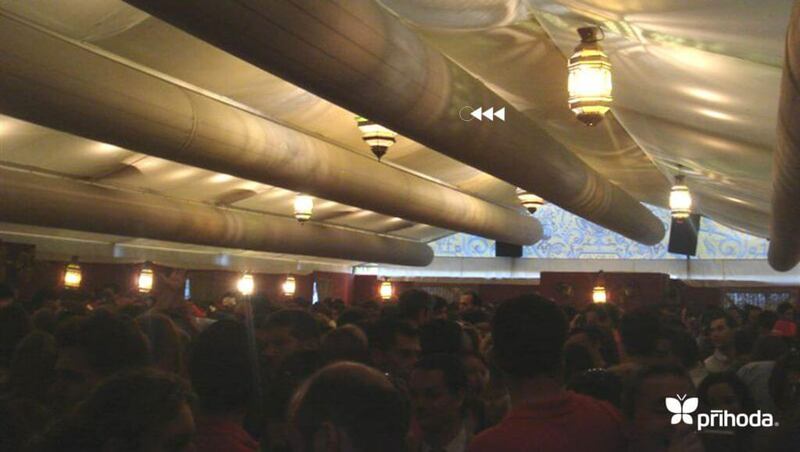 In cooling, with air diffused through Fabric Ducting intense airflow causes local air current sand draughts; whilst else where zones with insufficient cooling develop. 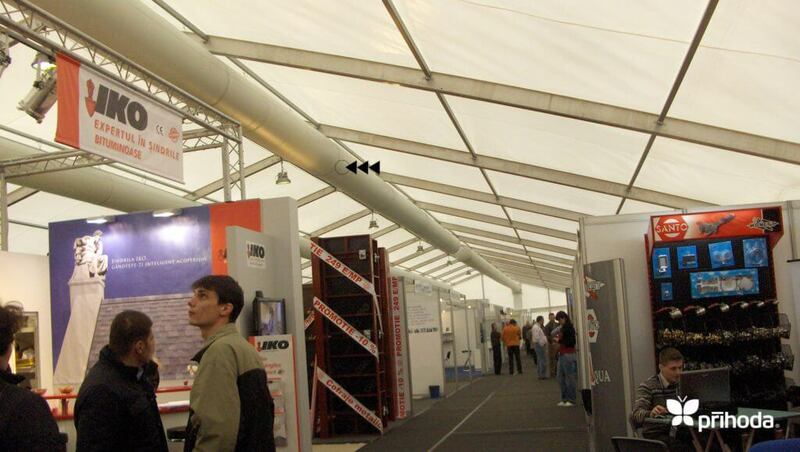 Both cases are successfully resolved by a properly designed Fabric Ducting distribution system.